MEDINA: Medina Community Band will continue their 2013 summer season with two concerts the week of July 15th. The first will on Wednesday, July 17th, at Happy Day’s Lodge, for the Second Annual Community Band Festival, beginning at 6:30p. Participating bands will be the Cuyahoga Falls Community Band, Kristan E. Crane, conductor, performing at 6:30p; Celebration Brass Quintet, performing at 7:15p; Happy Days Band Camp Band, Robert Jorgensen, conductor, performing at 8:00p; and, Medina Community Band, Marcus Neiman, conductor, performing at 8:45p. Since the venue is indoors (and air conditioned), it will go forward rain/shine. The festival is free and open to the public with free parking in designated areas. Featured trumpet soloists Marcia Nelson-Kline and Paul Rocco. Featured guest conductor will be composer and arranger Gene Milford, professor of music education at The University of Akron. 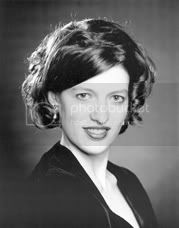 And, featured soprano soloist will be Marla Berg. Medina Community Band will continue with their concerts in the Public Square in Medina’s Historic Gazebo on Friday, July 19th, at 8:30p. The 60 minute concert will feature works by Grundman, Hayes, Anderson, Gottschuck, Lehar, Strauss Jr., Goldman, Alonso, Fillmore, and Sousa. Featured soloists will be soprano soloist Lara Troyer; tuba soloist Andrew Tatman; and trumpet soloists Marcia Nelson-Kline and Paul Rocco. Featured guest conductor will be composer and arranger Gene Milford, professor of music education at The University of Akron. Medina Community Band is sponsored by the Medina Community Band Association, a standing committee of the Medina Breakfast Kiwanis Club. The Medina Community Band is under the baton of conductor Marcus Neiman, in his 40th summer concert series, with associate conductors Edward Lichtenberg and Tommy Walker. The ice cream social for the evening will be presented by Project Learn. The concert is dedicated to the memory of Frank R. Hastings, Jr.
Gene F. Milford (at right), a native of Canton, Ohio, is a Senior Lecturer in Music Education at The University of Akron; he has also served on the faculty of Kent State University and Hiram College. 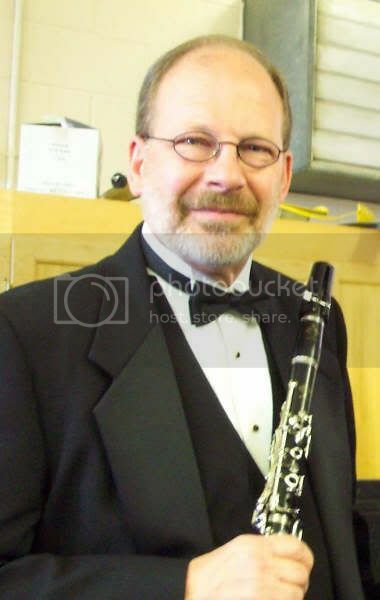 He holds a Bachelors of Science in Instrumental Music Education, Masters of Arts in Music History, and a PhD in Music Education from Kent State University, where he was the recipient of a University Fellowship. He is an instrumental music educator with 30 years of experience, including 23 years at Edgewood High School, Ashtabula, Ohio. His bands consistently received superior ratings at Ohio Music Education Association sponsored events and performed at state and national professional conferences. In addition, numerous nationally known guest conductors and soloists performed with his bands. Dr. Milford has served as guest conductor, clinician, and adjudicator and presented clinic sessions at regional and national conferences. 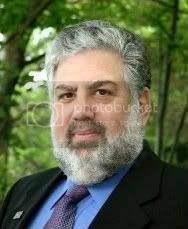 His articles on music education have appeared in Triad, Dialogues in Instrumental Music Education Contributions to Music Education and The Instrumentalist. As a composer and arranger, Dr. Milford has received numerous commissions and was the recipient of a grant from the Ohio Arts Council. His compositions and arrangements for band, orchestra, choir, and ensembles are in the catalogues of nine publishers. A number of his publications are currently on state required lists throughout the US and Australia. 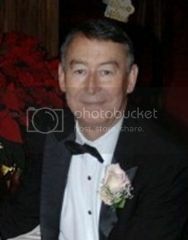 His professional affiliations include the Ohio Music Education Association (OMEA), where he has served as a district president and on numerous committees at both the district and state level; American School Band Directors Association (ASBDA), having served as state chair; National Band Association (NBA); Phi Beta Mu; Phi Kappa Lambda; and American Society of Composers, Authors and Publishers (ASCAP). He has received an ASCAP Award each year since 2001 and was the 2006 inductee to the Ohio Band Directors Hall of Fame. Milford will be featured as a guest conductor on both the July 17th and July 19th programs. Marla Berg (pictured at left) is known as a versatile performer appearing in concert, opera, operetta, and musical theater. Her opera engagements include performances with Opera Cleveland, Glimmerglass Opera, Central City Opera, Anchorage Opera, Fort Worth Opera, Kansas City Opera and Lyric Opera Cleveland. Her roles include: Violetta in La Traviata, Pamina in Die Zauberflote, Constanze in Die Entfuhrung aus dem Serail, Miss Wordsworth in Albert Herring , Lucia in Lucia di Lammermoor and Hanna in The Merry Widow. She includes almost all of the Gilbert and Sullivan heroines in her repertory. In concert, she has appeared with The Cleveland Orchestra The American Composers' Orchestra, the Denver Chamber Symphony, the Rockford Symphony and the Ohio Chamber Orchestra. Ms. Berg's musical theater appearances have included Maria in West Side Story, Julie in Carousel, and Fiona in Brigadoon. Ms. Berg's recent appearances include: Desiree in A Little Night Music with Opera Cleveland, an appearance with Verlezza Dance in a work she commissioned, choreographed by Sabatino Verlezza: "Bachianas Brasileiras". Most recently, she has appeared with the Ashland Symphony in Carmina Burana. Ms. Berg is an Assistant Professor of voice and Director of Opera at Kent State University. Berg will be featured soprano soloist on the July 17th program. Lara Troyer (pictured at right) . Described as singing with an engaging, robust tone (clevelandclassical.com), Ms. Troyer is a versatile soprano, at home on the opera stage as well as concert and recital stage. Most recently she performed the Ohio premiere of Ricky Ian Gordon’s Orhpeus and Euridice with Nightingale Opera. Ms. Troyer has toured with the New Sigmund Romberg Orchestra as their soprano soloist throughout the Midwest and Southeastern United States. She also spent four years as an Associate Artist with Cleveland Opera. She has made solo appearances with the Akron Symphony, Canton Symphony Orchestra, Lansing Symphony Orchestra, Rochester Symphony Orchestra, Kent Chorus and Orchestra, Kent/Blossom Chamber Music Summer Series, Southeast Iowa Symphony Orchestra, and PAND (Cleveland). She has sung lead roles with Lansing Lyric Opera, Lorain Community College and Akron Opera Theatre (Guest Artist for both), Opera in the Ozarks, and Bay View Music Festival. Last spring she sang a recital of new music for the Cleveland Composer’s Guild. Ms.Troyer recently performed a Midwest recital tour sponsored by Allied Concert Services. She won the Alpha Corinne Mayfield Award in Opera Performance under the National Federation of Music Clubs and the Sing Lansing! Competition; was a finalist in the Opera Columbus Competition and the National Opera Association Vocal Competition; and a regional winner in the National Association of Teachers of Singing Artist Award (NATSAA) competition. Ms. Troyer regularly performs under the auspices of Young Audiences of Northeast Ohio and The Children’s Concert Society of Akron. She has served on the voice faculty at the University of Akron, The College of Wooster, and currently teaches at Kent State University. Troyer will be featgured soprano soloist on the July 19th program. Andrew Tatem (pictured at left), is a June 2013 graduate of Highland High School. While there, he played in Marching Band Concert Band and Jazz Band for four years. He was a tuba player with the Akron Youth Symphony for the 2012-2013 season and played with Medina Community Band for one year. Andrew was awarded the Semper Fidelis Award for Musical Excellence in 2013 at Highland High School. 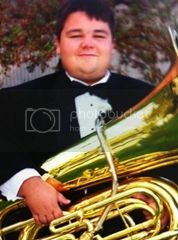 He will be attending Ohio University for Tuba Performance with Dr. Jason Smith. Franz von Suppé (pictured at left) was born in Spalato, Dalmatia (now Split, Croatia). His father was a Belgian working for the Austrian civil service, and his mother was Viennese. In spite of both parents’ opposition, Suppé showed an early interest in music and proved himself a capable flutist. He studied law at the University of Padua in Italy, but moved with his mother to Vienna in 1835 after his father’s death. In Vienna, Suppé began to study music in earnest. He composed and conducted for several Viennese theatres, producing over 30 comic operas and operettas and over 180 other stage pieces. 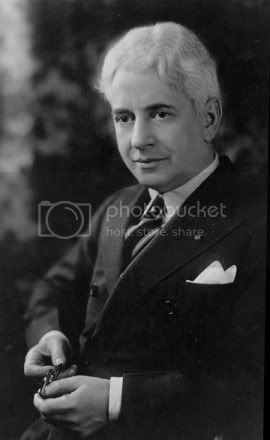 Suppé is best known for his opera Boccacio, but has been introduced to band audiences world-wide through transcriptions of his overtures to Morning, Noon, and Night in Vienna and Poet and Peasant. Circus Bee (March). The march was one of Fillmore’s first works published after his father Fillmore and son Henry reconciled their differences. The elder Fillmore finally agreed to allow Henry to publish his works through the family publishing business, even though father did not agree with the kind of music it was. 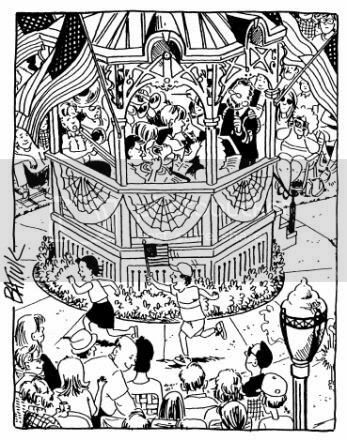 The title is taken from an imaginary circus newspaper. Lassus Trombone (Characteristic). The characteristic carried the subtitle “De Cullud Valet to Miss Trombone” and was Henry’s favorite of his “trombone smears.” It was also recognized by John Philip Sousa, who included it on every concert of his last tour with his band. The sheet music to “Lassus Trombone” sold over two million copies. Charles Lloyd Barnhouse (pictured at left) was born March 20, 1865 in Grafton, West Virginia. As a youngster he developed a keen interest in music, and was given a second-hand cornet by an uncle. Barnhouse quit school at age 14 to work as a laborer in local factories, learning the machinist's trade, but spent many hours teaching himself to master the cornet. His determination paid off, and at 16 he was elected leader of the Grafton town band, a post he held briefly until his decision to "see the world" and join up with various traveling show bands, first as a cornetist and later as leader. Barnhouse established a favorable reputation as a bandleader and cornet soloist on the touring circuit, and during this period began to compose band music. His travels brought him to Mt. Pleasant, Iowa in 1888 where he decided to open his own band music publishing enterprise. Using his skills as a machinist, Barnhouse created his own music engraving tools to make printing plates for his own compositions. His first advertising bulletin introduced five marches, most of them designed for small town bands and touring ensembles. Meeting with great success, the C. L. Barnhouse Co. was born in a 9' x 12' room, thus beginning a long and successful career as "The Iowa Music Publisher." 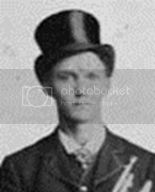 Barnhouse accepted a position in 1890 as leader of the Burlington, Iowa Boat Club Band, and in 1892 settled permanently in Oskaloosa, Iowa, where he was hired as leader of the Knights of Pythias band. The publishing company moved with him, and for the remaining decades of his life the C. L. Barnhouse Company flourished. In addition to Barnhouse compositions, the company's catalog included works by leading composers of the day including Karl L. King, Fred Jewell, Russell Alexander, J. S. Taylor, W. H. Kiefer, George D. Barnard, and many more. Composer/soloist Clay Smith wrote, "Starting with no financial assistance in an environment which was anything but conducive to his artistic accomplishments, C. L. Barnhouse has done some mighty big things, musically." Under his direction, the Oskaloosa band (later named the Iowa Brigade Band) became one of the finest semi-professional concert bands in the country. The publishing company which he founded continues its operation in Oskaloosa, and is highly regarded as one of the premier band music publishers in the world. Charles Lloyd Barnhouse died at the age of 64 on November 18, 1929. His Rock of Ages (Air Varie) was published in 1920 as a cornet duet or solo. Giacomo Puccini (pictured at right) has been called the greatest composer of Italian opera after Verdi. While his early work was rooted in traditional late-19th-century romantic Italian opera, he successfully developed his work in the 'realistic' verismo style, of which he became one of the leading exponents. La Bohème is an opera in four acts, composed by Giacomo Puccini to an Italian libretto by Luigi Illica and Giuseppe Giacosa, based on Scènes de la vie de bohème by Henri Murger. The world premiere performance of La bohème was in Turin on February 1st, 1896 at the Teatro Regio and conducted by the young Arturo Toscanini. Since then, La bohème has become part of the standard Italian opera repertory and is one of the most frequently performed operas worldwide. La bohème is based on Henri Murger's novel, Scènes de la vie de bohème, a collection of vignettes portraying young bohemians living in the Latin Quarter of Paris in the 1840s. Although usually called a novel, it has no unified plot. Like the 1849 play by Murger and Théodore Barrière, the opera's libretto focuses on the relationship between Rodolfo and Mimì, ending with her death. Also like the play, the libretto combines two characters from the novel, Mimì and Francine, into a single Mimì character. Early in the composition stage Puccini was in dispute with the composer Leoncavallo, who said that he had offered Puccini a libretto that he had completed and that he felt that Puccini should defer to him. Puccini responded that he had had no idea of Leoncavallo's interest and that having been working on his own version for some time, he felt that he could not oblige him by discontinuing with the opera. Leoncavallo completed his own version in which Marcello was sung by a tenor and Rodolfo by a baritone. It was unsuccessful and is now rarely performed. Act II. As the men and Mimì dine at the cafe, Musetta, formerly Marcello's sweetheart, arrives with her rich (and elderly) government minister admirer, Alcindoro, whom she is tormenting. It is clear she has tired of him. To the delight of the Parisians and the embarrassment of her patron, she sings a risqué song (Musetta's waltz: Quando me'n vo' – "When I go along"), hoping to reclaim Marcello's attention. The ploy works; at the same time, Mimì recognizes that Musetta truly loves Marcello. To be rid of Alcindoro for a bit, Musetta pretends to be suffering from a tight shoe and sends him to the shoemaker to get her shoe mended. Alcindoro leaves, and Musetta and Marcello fall rapturously into each other's arms. George Gershwin (pictured at left) was essentially self-taught. He was first a song plugger in Tin Pan Alley and an accompanist. 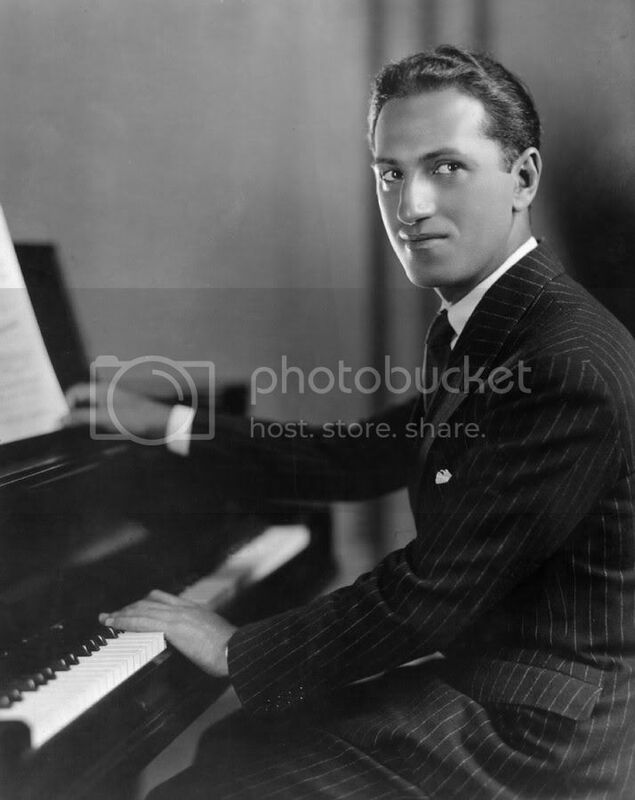 In his teens he began to compose popular songs and produced a succession of musicals from 1919 to 1933 (Lady, be Good!, 1924; Oh, Kay!, 1926; Strike up the Band, 1927; Funny Face, 1927; Girl Crazy, 1930); the lyrics were generally by his brother Ira (1896 1983). His musical Rosalie (1928) was based the play by William Anthony McGuire and Guy Bolton (written for a Romberg/Gershwin Broadway musical, but filmed with all new songs by Cole Porter! The stage Rosalie, produced by Forenz Ziegfeld, ran for 335 performances beginning January 10, 1928 at the New Amsterdam Theatre. Sigmund Romberg composed eight numbers for the show and George Gershwin seven. (Gershwin's best song in the score was How Long Has This Been Going on?) The original Rosalie was Marilyn Miller, the undisputed queen of the American musical in the twenties. Her Lt. Richard Fay was Oliver McLennan, and Frank Morgan was the original king. In 1914 King accepted the position as bandleader on the Sells Floto/Buffalo Bill Combined Shows, a position he would hold for three seasons. In 1917 and 1918 he returned to the Barnum and Bailey Circus band, this time as its leader and conductor. Recently married and intent upon settling down, King ended his circus “trouping days” and returned to Canton in 1919, where he led the Grand Army Band. In 1920 King relocated to Fort Dodge, Iowa, where he assumed leadership of the municipal band and operated his own publishing company, the K. L. King Music House. During his tenure, the Fort Dodge band gained national recognition, and King became a beloved member of the community as well as a band musician of national and international repute. Among many honors bestowed upon King was membership in the prestigious American Bandmasters Association. He served as ABA President in 1938 and was later named an Honorary Life President. He lived in Fort Dodge for the remainder of his life, passing away on March 31, 1971. His Fort Dodge band was subsequently renamed the “Karl L. King Municipal Band” in his honor. On October 22, 2006, a life-sized bronze statue of Mr. King was unveiled on the city square in Fort Dodge, as a testament and monument to the city's most famous musician and citizen. As a composer, King was one of the most prolific and popular in the history of band music. He composed at least 291 works, including 185 marches, 22 overtures, 12 galops, 29 waltzes, and works in many other styles. Not only did he compose some of the most brilliant and famous marches for experienced bands at the professional and university levels; he also displayed a remarkable ability to compose first-rate music for younger, less experienced musicians and bands. His music continues to be performed worldwide by bands of all experience levels. Salute to the Sultan – Salute to the Sultan (Marche Orientale) was composed during King’s second year “trouping” with circus bands. He had joined the Robinson Famous Circus in 1910 as a baritone horn player for whom he composed Robinson’s Grand Entry march. The following season he joined the Yankee Robinson Circus (no connection) and composed Salute to the Sultan, dedicated “to my friend Theo. Stout, bandmaster.” Theodore Stout (1883 - 1930) was described as a “veteran road company musician” in his obituary in Variety. Salute to the Sultan was published in 1912 by the J. E. Agnew Co. of Des Moines, IA under the pseudonym of Carl Lawrence. At this time several of King’s compositions were issued under this first name with a “C” and using his middle name as his surname, possibly to avoid friction with his primary publisher C. L. Barnhouse. Music that was referred to at the time as “Oriental “ or “Persian” marches were often used with wild animal acts, including lions, tigers, panthers and elephants or other acts dressed in elaborate costumes reflecting Turkish, Persian, and Indian traditions. This was a way to bring the distant and remote to American Circus audiences. King produced a number of other marches in this style including Arabian Sentinel, Cyrus the Great, The Caravan Club as well as those for Shrine bands (Nazir Grotto, Alhambra Grotto) in a similar style. Stars and Stripes Forever (John Philip Sousa – pictured below at left) The march is considered the finest march ever written, and at the same time one of the most patriotic ever conceived. As reported in the Philadelphia Public Ledger (May 15, 1897) “ ... It is stirring enough to rouse the American eagle from his crag, and set him to shriek exultantly while he hurls his arrows at the aurora borealis.” (referring to the concert the Sousa Band gave the previous day at the Academy of Music). Clare Ewing Grundman (born 11 May 1913 in Cleveland, Ohio; died 15 June 1996 in South Salem, New York) is one of the most prolific and highly respected composers for band on the American scene today. He is represented in one publisher’s catalogue with nearly 50 works for band, in addition to other media. Third American Folk Rhapsody - Dedicated to Tri-State Music Festival (Enid, Oklahoma), this rhapsody was composed in 1970. American folk tunes are “Colorado Trail,” “Get Along Little Doggies,” “Careless Love,” and, “Turkey in the Straw.” The form generally followed is that of a short introduction, statement of the folk tunes with variations, and a short but stately coda. Solo Pomposo. Al Hayes wrote this delightful composition for tuba and band. Al Hayes was really Henry Fillmore, but the piece was still written for tuba and band in 1911. 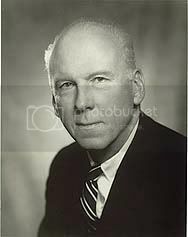 Leroy Anderson believed that musical ideas came to his mind because he was constantly on the alert for them. Fiddle Faddle, for example, was inspired by listening to Paganini’s Perpetual Motion. Memories of sleighride sounds from his New England boyhood suggested the musical themes in the present work. As in his Typewriter and Sandpaper Ballet, Anderson used sounds from the “real world” for Sleigh Ride. More important than the nostalgic bell sounds however, are Anderson’s melodies and scoring – their excellence keeps Sleigh Ride in the concert band’s repertoire. Sleigh Ride" is a popular light orchestral piece, composed by Leroy Anderson. 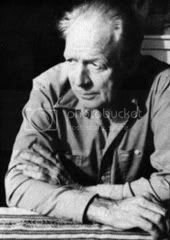 The composer had the original idea for the piece during a heat wave in July, 1946; he finished the work in February, 1948. Lyrics were written by Mitchell Parish in 1950. It was first recorded in 1949 by Arthur Fiedler & The Boston Pops Orchestra. Charles Lloyd Barnhouse (pictured at right) was born March 20, 1865 in Grafton, West Virginia. As a youngster he developed a keen interest in music, and was given a second-hand cornet by an uncle. Barnhouse quit school at age 14 to work as a laborer in local factories, learning the machinist's trade, but spent many hours teaching himself to master the cornet. His determination paid off, and at 16 he was elected leader of the Grafton town band, a post he held briefly until his decision to "see the world" and join up with various traveling show bands, first as a cornetist and later as leader. Barnhouse established a favorable reputation as a bandleader and cornet soloist on the touring circuit, and during this period began to compose band music. His travels brought him to Mt. Pleasant, Iowa in 1888 where he decided to open his own band music publishing enterprise. Using his skills as a machinist, Barnhouse created his own music engraving tools to make printing plates for his own compositions. 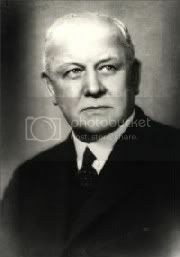 His first advertising bulletin introduced five marches, most of them designed for small town bands and touring ensembles. Meeting with great success, the C. L. Barnhouse Co. was born in a 9' x 12' room, thus beginning a long and successful career as "The Iowa Music Publisher." Barnhouse accepted a position in 1890 as leader of the Burlington, Iowa Boat Club Band, and in 1892 settled permanently in Oskaloosa, Iowa, where he was hired as leader of the Knights of Pythias band. The publishing company moved with him, and for remaining for decades of his life the C. L. Barnhouse Company flourished. In addition to Barnhouse compositions, the company's catalog included works by leading composers of the day including Karl L. King, Fred Jewell, Russell Alexander, J. S. Taylor, W. H. Kiefer, George D. Barnard, and many more. Composer/soloist Clay Smith wrote, "Starting with no financial assistance in an environment which was anything but conducive to his artistic accomplishments, C. L. Barnhouse has done some might big things, musically." Under his direction, the Oskaloosa band (later named the Iowa brigade Band) became one of the finest semi-professional concert bands in the country. The publishing company which he founded continues its operation in Oskaloosa, and is highly regarded as one of the premier band music publishers in the world. Charles Lloyd Barnhouse died at the age of 64 on November 18, 1929. Salute to the Sultan – (Marche Orientale) was composed during King’s second year “trouping” with circus bands. He had joined the Robinson Famous Circus in 1910 as a baritone horn player for whom he composed Robinson’s Grand Entry march. The following season he joined the Yankee Robinson Circus (no connection) and composed Salute to the Sultan, dedicated “to my friend Theo. Stout, bandmaster.” Theodore Stout (1883 - 1930) was described as a “veteran road company musician” in his obituary in Variety. Salute to the Sultan was published in 1912 by the J. E. Agnew Co. of Des Moines, IA under the pseudonym of Carl Lawrence. At this time several of King’s compositions were issued under this first name with a “C” and using his middle name as his surname, possibly to avoid friction with his primary publisher C. L. Barnhouse. Franz Lehár (pictured at right) was born in the northern part of Komárom, Kingdom of Hungary, Austria-Hungary (now Komárno, Slovakia), the eldest son of an Austrian bandmaster in the Infantry Regiment No. 50 of the Austro-Hungarian Army and a Hungarian woman from a family of German descent. He grew up speaking only Hungarian until the age of 12. Later he put a diacritic above the "a" of his father's name "Lehar" to indicate the long vowel in Hungarian phonology. While his younger brother Anton entered cadet school in Vienna to become a professional officer, Franz studied violin and composition at the Prague Conservatory, where his violin teacher was Antonín Bennewitz, but was advised by Antonín Dvořák to focus on composing music. After graduation in 1899 he joined his father's band in Vienna, as assistant bandmaster. 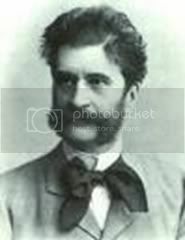 In 1902 he became conductor at the historic Vienna Theater an der Wien, where his first opera Wiener Frauen was performed in November of that year. 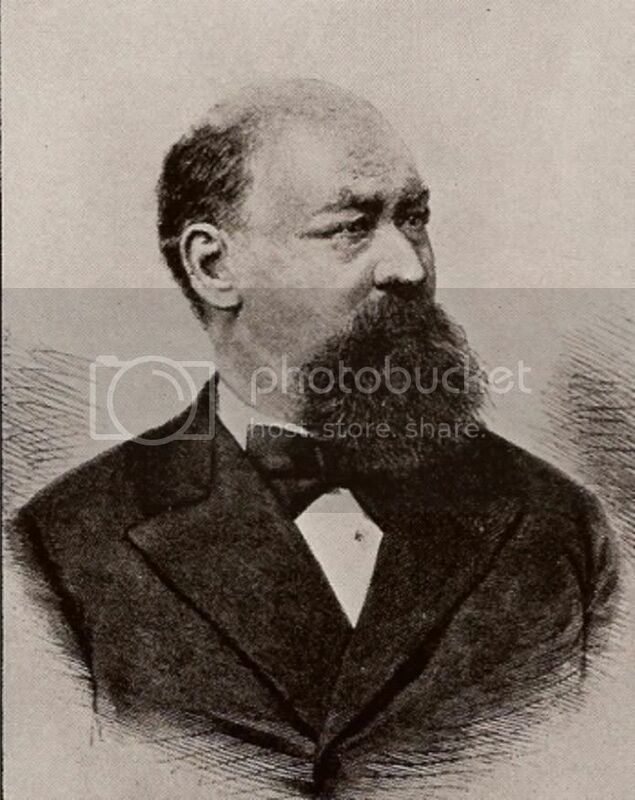 He is most famous for his operettas – the most successful of which is The Merry Widow (Die lustige Witwe) – but he also wrote sonatas, symphonic poems, marches, and a number of waltzes (the most popular being Gold und Silber, composed for Princess Pauline von Metternich's "Gold and Silver" Ball, January 1902), some of which were drawn from his famous operettas. Individual songs from some of the operettas have become standards, notably "Vilja" from The Merry Widow and "You Are My Heart's Delight" ("Dein ist mein ganzes Herz") from The Land of Smiles (Das Land des Lächelns). Laughing Song. Dr. Falke, a notary, had gone to a costume ball dressed as a bat. He drank too much and, when he passed out, his friends laid him out on the sidewalk so that he awoke in full costume to the derisive shouts of the school children. Ever since then, he was jeered at as "Doctor Bat" wherever he went. The plot of the operetta pivots on Dr. Falke's wish to get even with Eisenstein, chief perpetrator of the joke. The work is full of mistaken identities as all the participants show up at a ball in disguise, and each reveals what he or she shouldn't to the wrong person. Eisenstein's maid, Adele, goes to the ball disguised as a real lady, and the Marquis mistakes her for his maid. Of course, she IS his maid, but she is dressed very elegantly, in Eisenstein's wife's gown. Everyone tells him he is very un-gallant to tell her that she looks like a maid. Adele then admonishes him for being so unobservant. "My dear Marquis, a man like you ought to know better than that. Let me therefore advise you to look at people more closely. My hand is too tiny to behold, my foot too small and graceful! My speech, so refined, my dainty waist and elegant figure, you'll never find a lady's maid who has these things!" In speaking of his father, Richard Franko Goldman related in a broadcast interview that “the new image of the modern concert band is largely the work of one man Edwin Frank Goldman” (pictured at right). He went on to say “early in 1909 my father began to recognize that the musicians in New York who performed in the summer bands, most of whom were from the symphonies and the Metropolitan Opera, did not take the summer performances very seriously. The bands seldom rehearsed and considered the work only as a source of extra income. My father realized the enormous potential for a good wind ensemble. 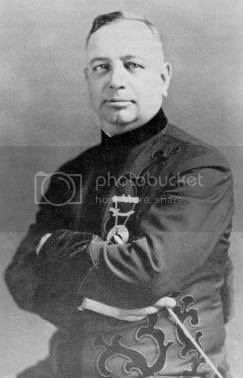 Subsequently in 1911 he founded a group which was initially called the New York Military Band. Later in 1920 when he was firmly established the ensemble became known as the Goldman Band”. The Goldman Band became one of the greatest in history and Goldman’s name became synonymous with musical excellence throughout the United States. He was the dean of bandmasters and certainly one of the most celebrated that ever lived. His famous series of live free concerts in New York’s Central Park and Prospect Park in Brooklyn were heard by more people than any other series of concerts in the world. He projected the spirit of old bandstands, the feature of every old-fashioned park and village square. He helped foster through his concerts a wholesome and happy nostalgia to the people of a great metropolis. His march and sing-a-long Cheerio calls upon the audience to whistle, then sing (la-la-la) throughout the trio! Francisco Alonso (pictured at left) was one of Spain’s most prolific composers. He wrote a large number of Zarzuelas (Light Operas or Operettas, filled with folk music of Spain and generally on a light humorous theme, with catchy tunes, and invariably at least one paso-doble in each). In 1887 Maetro Alonso was born in the Spanish province of Granada. He conducted in Madrid often at the Teatro de Zarzuela and composed steadily. Among the much played Zarzuelas he wrote are: La Calesera, La Linda Tapada, Las Leandras, and Luna de mile en el Cairo. He died in Madrid in 1948. Charlatan March (John Philip Sousa – pictured below right). 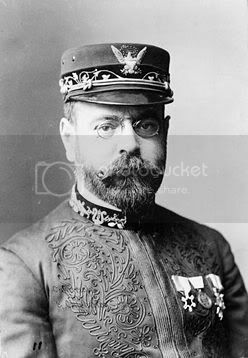 It would seem that a march taken from one of Sousa’s most musically interesting operettas would rank among his better efforts, but such was not the case of this march. It was extracted from Acts II and III of the 1898 operetta The Charlatan, and despite a wealth of published editions it was soon all but forgotten. Stars and Stripes Forever The march is considered the finest march ever written, and at the same time one of the most patriotic ever conceived. As reported in the Philadelphia Public Ledger (May 15, 1897) “ ... It is stirring enough to rouse the American eagle from his crag, and set him to shriek exultantly while he hurls his arrows at the aurora borealis.” (referring to the concert the Sousa Band gave the previous day at the Academy of Music). Irving Berlin (pictured at left). With a life that spanned more than 100 years and a catalogue that boasted over 1000 songs, Irving Berlin epitomised Jerome Kern's famous maxim, that "Irving Berlin has no place in American music - he is American music". 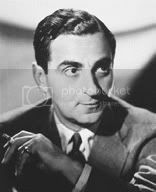 Irving Berlin was born Israel Berlin in May 1888. When his father died, Berlin, just turned 13, took to the streets in various jobs, working as a busker, singing for pennies, then as a singer / waiter in a Chinatown café. In 1907 he published his first song, Marie From Sunny Italy and by 1911 he had his first major international hit, Alexander's Ragtime Band. This was the era just before TV, when radio shows were huge, and American families sat around their radios in the evenings, listening to their favorite entertainers, and no entertainer of that era was bigger than Kate Smith. Kate was also large in size, and the popular phrase still used today is in deference to her, "Ain't over till the fat lady sings". Kate Smith might not have made it big in the age of TV, but with her voice coming over the radio, she was the biggest star of her time. Kate was also very patriotic. It hurt her to see Americans so depressed and afraid of what the next day would bring. She had hope for America, and faith in her fellow Americans. She wanted to do something to cheer them up, so she went to the famous American song-writer, Irving Berlin and asked him to write a song that would make Americans feel good again about their country. Friday Evening, July 19th, 2013 - 8:30 p.m. In Memory of Frank Hastings, Jr.